From the fall of 1933 to the spring of 1935, Bonhoeffer served two small, German-speaking congregations in London—one in Sydenham, the other in the East End. The two congregations were quite different. Sydenham, which gathered businessmen and families, and a few members of the German diplomatic community, numbered thirty to forty. St. Paul’s, a Reformed congregation with a two-century history, numbered about fifty. It comprised mostly tradesmen—butchers, tailors, bakers—and their families. 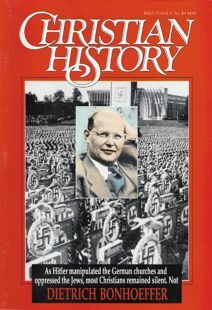 During his eighteen months in his only full pastorate, Bonhoeffer introduced children’s services, youth clubs, Nativity and Passion plays, financial assistance for German refugees, and a revised hymnal. His tenure in England was cut short by a call to serve the Confessing Church in his native Germany. Bonhoeffer became director of an illegal seminary located in Zingst, near the Baltic Sea, and then in Finkenwalde. He now served as chief shepherd of a flock of about twenty-five candidates for ministry. —the sincere practice of confession.